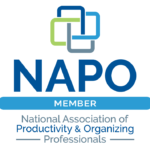 As a member of the National Association of Productivity & Organizing Professionals, Your Organized Life adheres to the highest industry standards and offers a confidential client service agreement on all projects. For almost a decade, Your Organized Life has worked with clients in Boston and the South Shore to create organizing systems that work. Featured in The Boston Globe print and online editions, “Out of Chaos comes order…” the article highlights some of the work Lisa has done in helping clients find more space, more time and more joy in their lives. Lisa is a frequent speaker on organizing strategies and project management and has been a guest on WATD 95.9’s South Shore Live! radio show. In addition, Lisa’s work has been featured in the Cohasset Mariner and in South Shore Magazine in articles on organizing tips along with being included in print and online editions of “30 Ways to Create a Stress-Free Holiday“. In 2018 Lisa was named to the Board of the South Shore Women’s Business Network. Founded over 27 years ago by six women whose needs were not being met by existing organizations, today’s SSWBN is a thriving network that strives to empower and support members seeking business and business resources; encourage the referral of potential clients; provide a forum for exchange of business ideas; offer opportunities for development of leadership, and provide education to members. The SSWBN helps its members build their Contacts, Collaborate with each other, Coach each other, and serve our Community here on the South Shore. 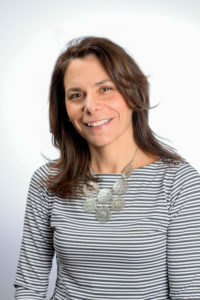 A graduate of Boston College, Lisa worked for a number of years in high tech and human resources with extensive experience in hiring and project management. With experience in retail, marketing and education as well as high tech, Lisa’s background allows her to work successfully in a number of settings. Along with volunteer and community work, she is the parent of two college-age sons which makes her an expert in laundry, food preparation and an avid sports fan. In a nutshell, we know busy! Email lisa@yourorganizedlife.biz or call 617-240-7451 to start your organized life today!